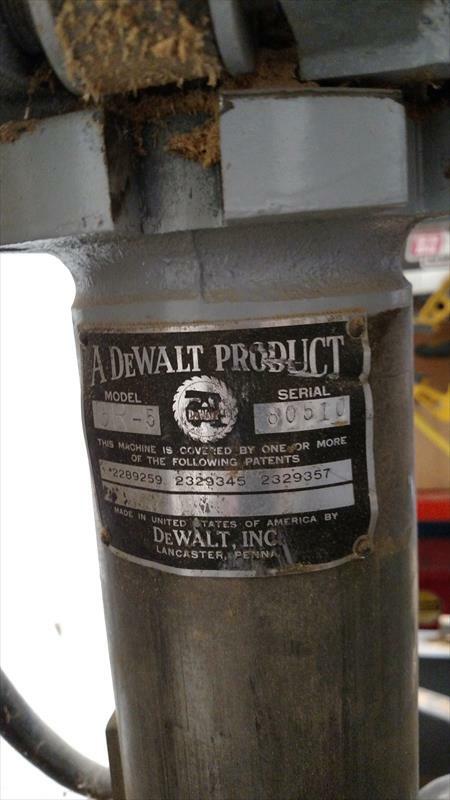 DeWalt GR-5 radial arm saw manufactured somewhere between 1949 and 1951. I was told when I originally traded for it that it has a 14" blade, but I've also seen the GR-5 referred to as having a 16" blade. The motor uses 220V service. The unit is heavy and weighs around 350 lbs. I've owned and used the saw for 37 years but I am downsizing my home and don't have room for it in my new home.